Join us every Thursday evening - May 30th through August 29th (BH Community Dinner). Enjoy live music as you shop, dine, walk the docks and soak in the sights and sounds of summer with some great local musical talent. Come on down and support them during our Music on Main Summer Series. 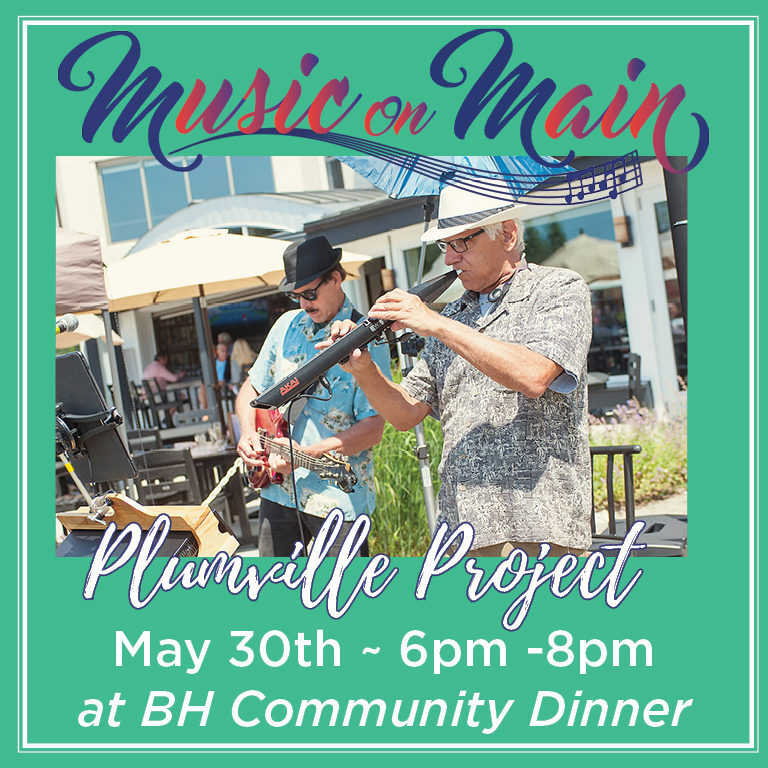 Tonight the music featured is Plumville Project, who will be a part of the Bay Harbor Foundation Community Dinner event.